Over the years Caltech has actively promoted the commercialization of technologies developed within its walls. Through its Office of Technology Transfer & Corporate Partnerships, scientific breakthroughs have led to the transfer of numerous technologies in a wide variety of scientific-related fields such as photovoltaic, radio-frequency identification (RFID), semiconductors, hyperspectral imaging, electronic devices, protein design, solid state amplifiers and many more. Companies such as Contour Energy Systems, Impinj, Fulcrum Microsystems, Nanosys, Inc., Photon etc., Xencor, and Wavestream Wireless have emerged from Caltech. Caltech has appeared in many works of popular culture, both as itself and in disguised form. 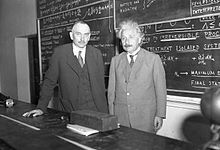 As with MIT, a Caltech reference is often used to establish a character's high level of intelligence or a technical background; for example, in the novel Contact by Carl Sagan, Eleanor Arroway holds a Ph.D. in radio astronomy from the school. 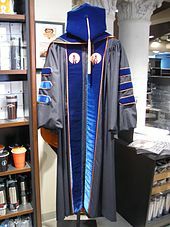 In the Marvel Comics mainstream continuity, Bruce Banner holds a Ph.D. in nuclear physics from the Institute. On television, all four male lead characters and one female lead character in the sitcom The Big Bang Theory are employed at the Institute. Caltech is also the inspiration, and frequent film location, for the California Institute of Science of Numb3rs. On film, the Pacific Tech of The War of the Worlds and Real Genius is based on Caltech. In nonfiction, two 2007 documentaries examine aspects of Caltech: Curious, its researchers, and Quantum Hoops, its men's basketball team. ^ "World Reputation Rankings". Times Higher Education (THE). June 5, 2017. Retrieved April 23, 2018. ^ "QS World University Rankings 2018". Top Universities. June 5, 2017. Retrieved April 23, 2018. ^ "Best Global Universities". U.S News. Archived from the original on October 28, 2014. ^ "Oral History – Allen J. Acosta" (PDF). 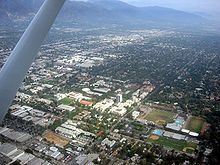 Pasadena, California: California Institute of Technology. April – May 1994. Retrieved September 29, 2011. ^ "California Institute of Technology - U.S. News Best Grad School Rankings". U.S. News & World Report. Retrieved June 6, 2017. ^ "California Institute of Technology - U.S. News Best Global University Rankings". U.S. News & World Report. Retrieved July 8, 2017. ^ "MD/PhD Program - Keck School of Medicine of USC". Retrieved July 31, 2016. ^ Mic. "Caltech's Shocking Lack of Diversity: A Microcosm for the United States?". Mic. Retrieved March 16, 2017. ^ "George O. Abell, Astronomy: Los Angeles". calisphere. University of California. Retrieved April 9, 2017. ^ "University Spinoffs". University Spinoffs. Archived from the original on May 7, 2010. ^ "OTTCP's Startups Map". Archived from the original on January 6, 2015.